In science, there are classifications for all sorts of things. 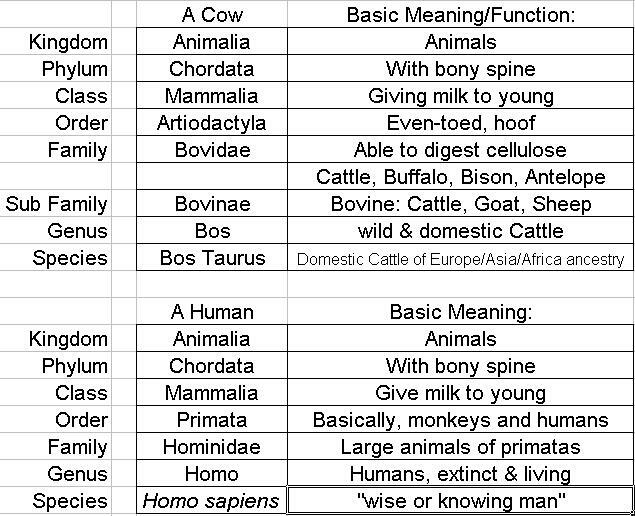 To find out the relatives of bovines and how homo sapiens (humans) are different from cattle, you will need to know about taxonomy! The seven main levels go from largest category down to very specific categories. The more of these that match, the more closely related to two are.